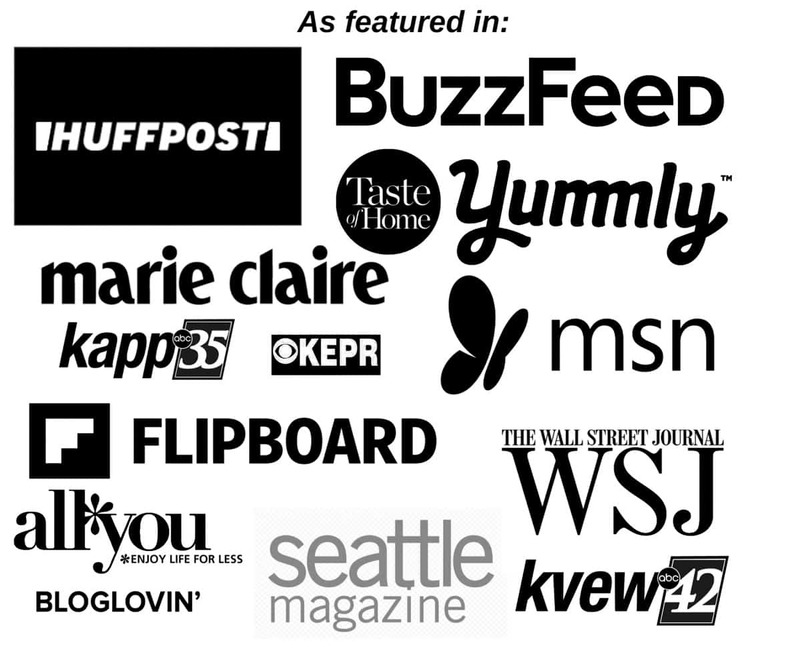 You are here: Home / Recipes / Frugal Recipes / 10 Best Recipes to use up that leftover Thanksgiving Turkey! 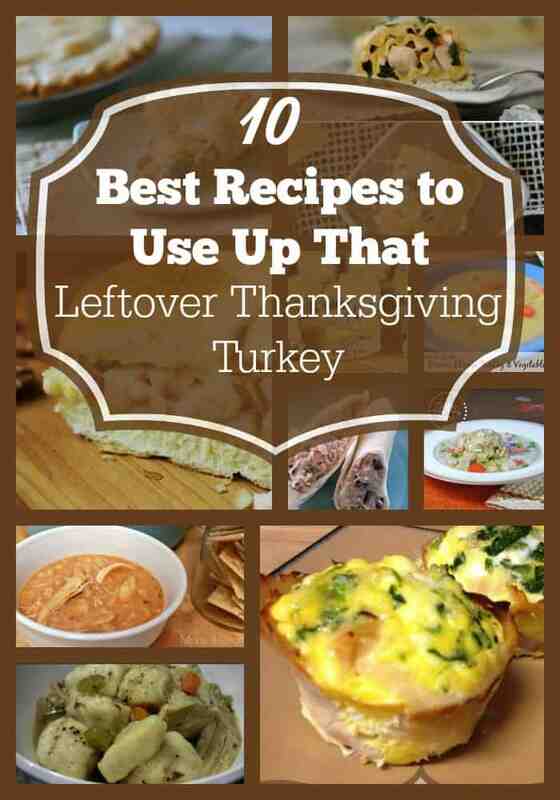 10 Best Recipes to use up that leftover Thanksgiving Turkey! Sometimes just eating leftover turkey can get downright boring when you have a lot of it. 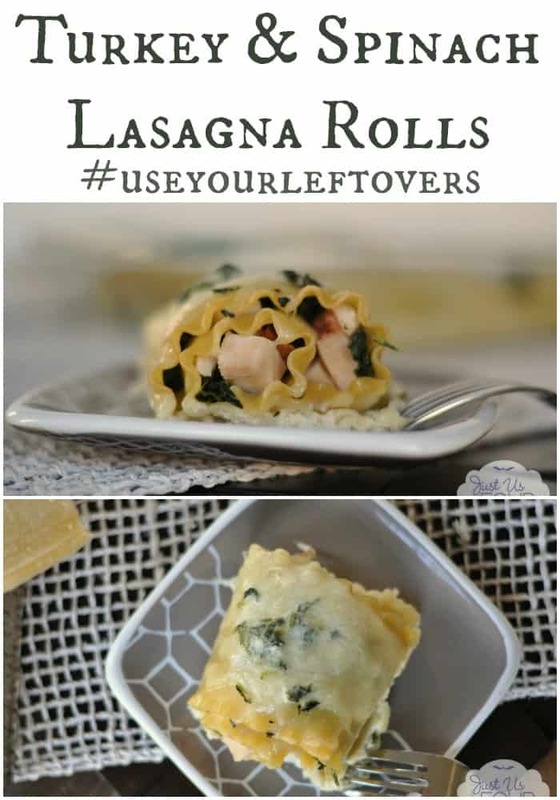 Turn your leftover turkey into turkey and spinach lasagna rolls, soups, pot pie and many more. 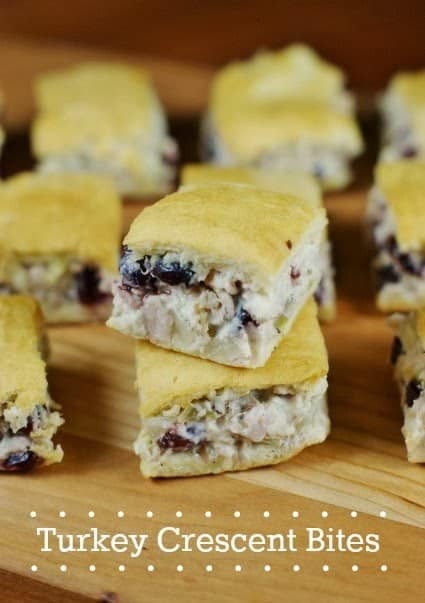 You can still make your leftover turkey bun sandwiches but also consider some of these delicious 10 Best Recipes to use up that leftover Thanksgiving Turkey. 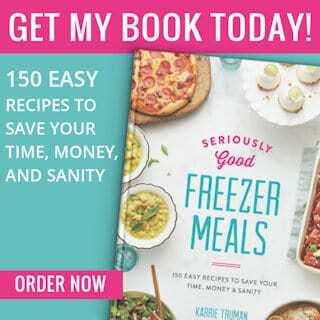 Bonus… many of these also make fantastic make-ahead freezer meals that you can save to enjoy later! 1. Leftover Turkey and Spinach Lasagna from Just Us Four. 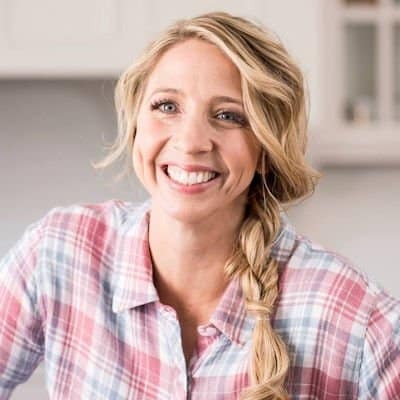 This is a unique twist on a favorite dish and it sounds so delicious! 2. Turkey Crescent Bites from The Kitchen is My Playground. Oh My! These look so yummy! 3. 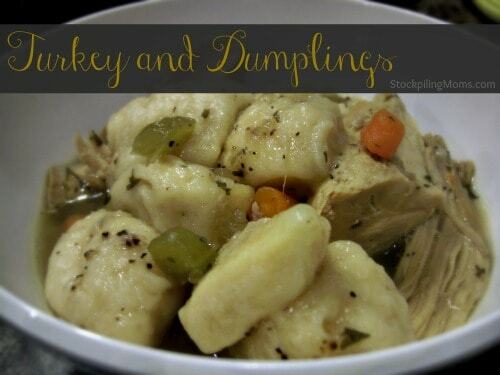 Turkey and Dumplings from Stockpiling Moms. This is another traditional dish with a twist! 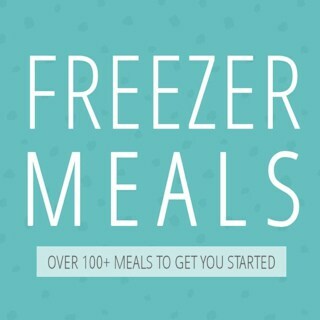 It sounds like a delicious meal to have on a cold night! 4. 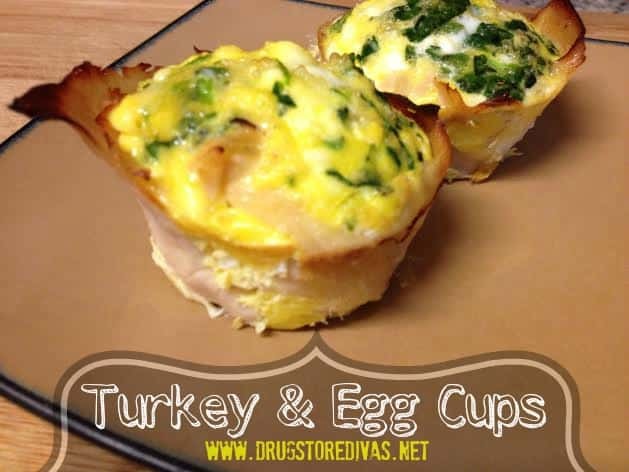 Turkey and Egg Cups from Drugstore Divas. 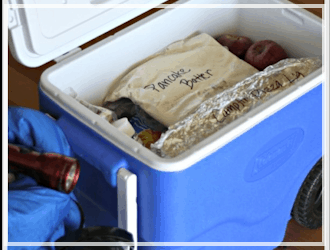 This calls for prepackaged turkey, but I know that this would be easy to use Thanksgiving Leftover Turkey instead! 5. 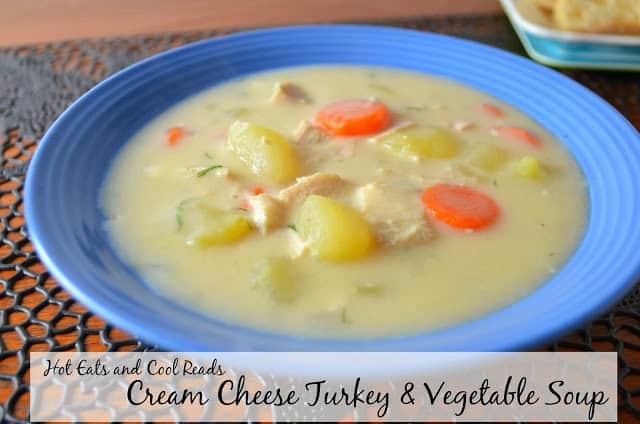 Cream Cheese Turkey and Vegetable Soup from Hot Eats and Cool Reads. Oh goodness! This sounds like a perfect cold weather soup to have! 6. Turkey Pot Pie from Pink When. 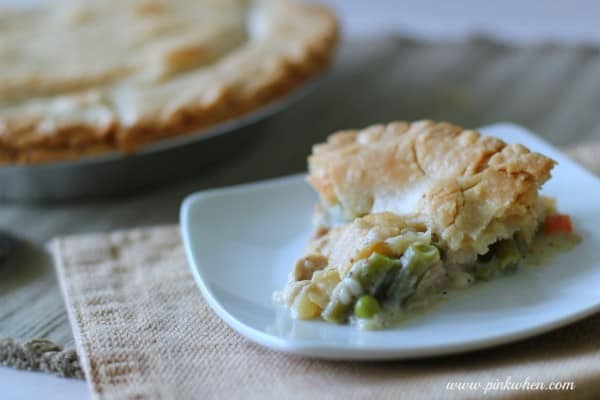 A delicious Turkey Pot Pie can satisfy the entire family! 7. 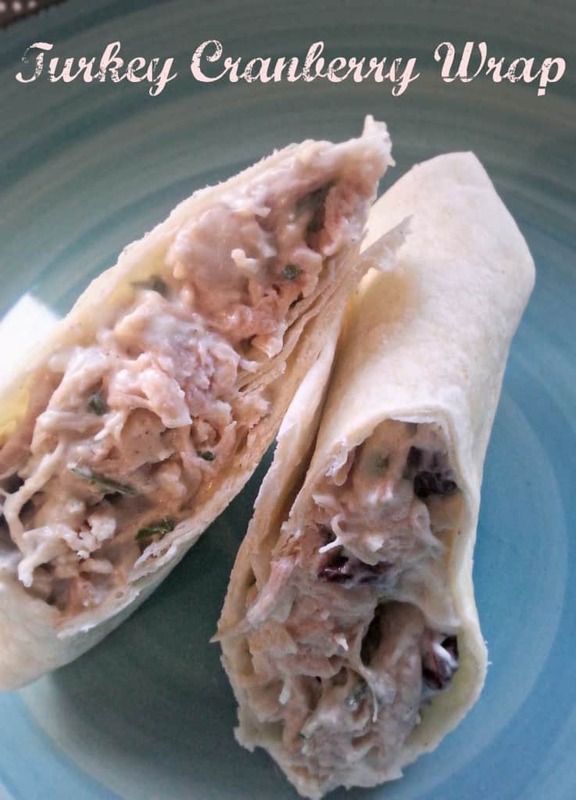 Turkey and Cranberry Wrap from This Mama Loves. Wow! 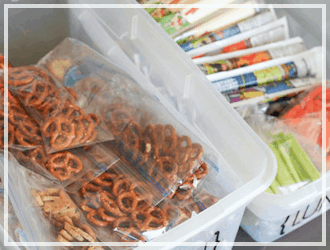 This would be a delicious and filling lunch idea to add to your menu! 8. 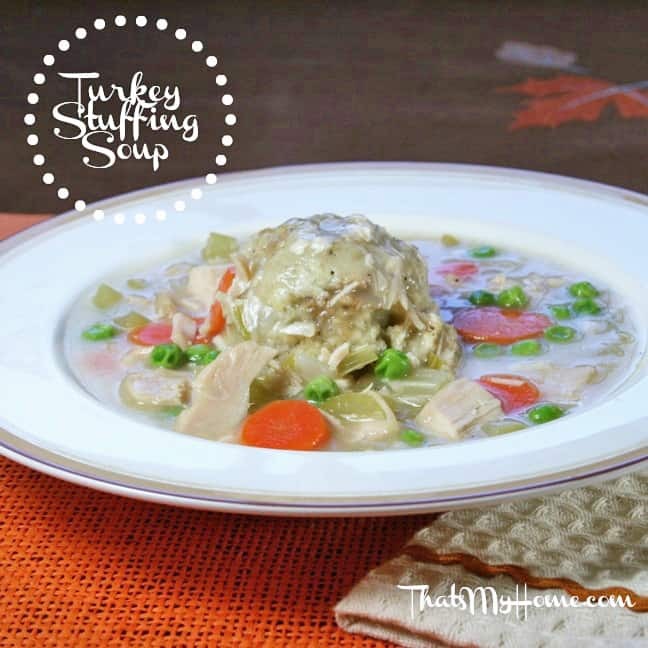 Turkey Stuffing Soup from Recipes, Food, and Cooking. Another delicious soup? Yes, please! 9. 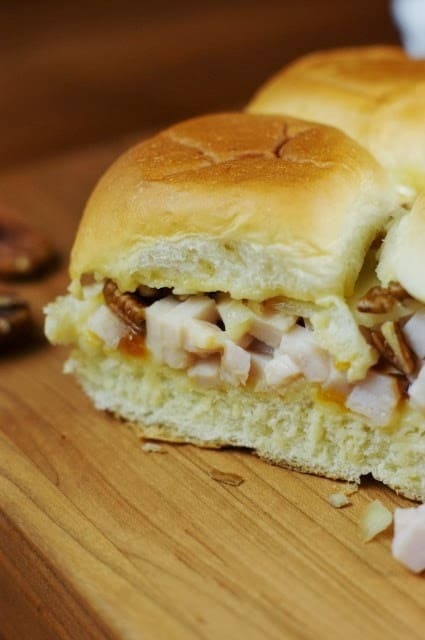 Turkey and Apricot Sliders from The Kitchen is My Playground. 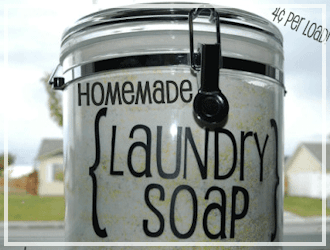 This sounds like a delicious and filling idea to use for dinner! 10. 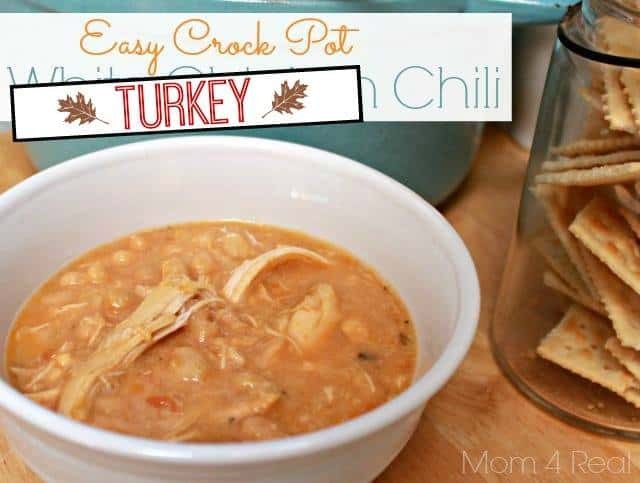 Easy Crock Pot Turkey Chili from Mom 4 Real. 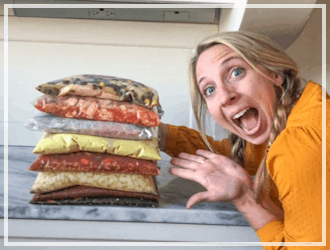 I love recipes that help me use the leftover turkey, but one in the crock pot? 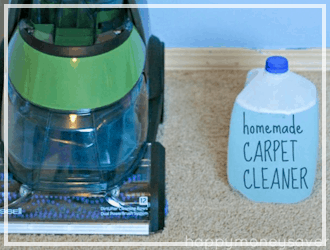 Even better because I love saving time!